William Floyd “Bill” Stalcup, 63, passed away August 24, 2018 at home, surrendering to Alzheimer’s Disease. He was born June 20, 1955 in Kansas City, MO. Bill lived a full, truly accomplished life. 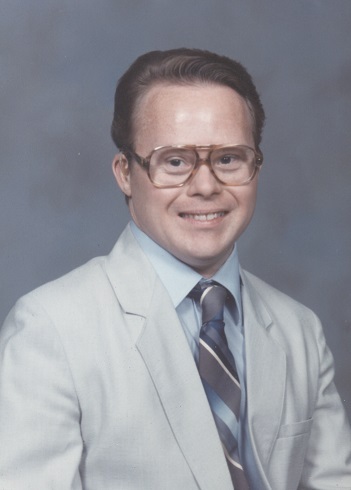 He had Down Syndrome but that did not define him. Bill completed school and worked a full time job, achieving perfect attendance thru many of his 30 years of service. He loved the Royals, Chiefs, bowling and his many friends. He also participated in Special Olympics bowling. Bill was a great helper at home, meticulous in grooming and organization of his room. A gentleman in every way, he loved the ladies as much as they loved him. Bill loved to visit with people and never met a stranger. Bill loved music and played guitar, but drums were his true love, spending many hours playing music and accompanying on his drums. He loved Michael Jackson and Elvis and was a true showman in his impersonations when given the chance. Dancing was one of his many talents and loves. He was often awarded “Best Dancer”. Bill so loved his family and was very proud of his sisters and many nieces and nephews. He was a true shining light in the lives of his family and friends and will be dearly missed. Bill was preceded in death by his mother and stepfather, Naomi and Victor Nalivaiko; and his father Thomas Stalcup. He is survived by sister Christy Kinman (Lou); sister Janet Palmentere; sister Pam DeVault; and many nieces, nephews, cousins and friends. A special thank you to all who cared for, supported and loved Bill and his family through these difficult times. Visitation will be 9AM, with services at 10AM, Wednesday, August 29, 2018 at Park Lawn Funeral Home, 8251 Hillcrest Rd. ; burial in Floral Hills Cemetery. In lieu of flowers, family requests donations to Down Syndrome Guild of Kansas City, Alzheimer’s Association or Center for the Developmentally Disabled. I am so sorry for your loss, but know you truly have a book of wonderful memories and I know he felt your love as much as he showed you his... may you feel great comfort through these difficult days! Very sorry for your loss Pam & Christy. He sounds like a wonderful man. I am so sorry about the passing of your beloved brother Bill. Clearly he was loved dearly by family and friends.